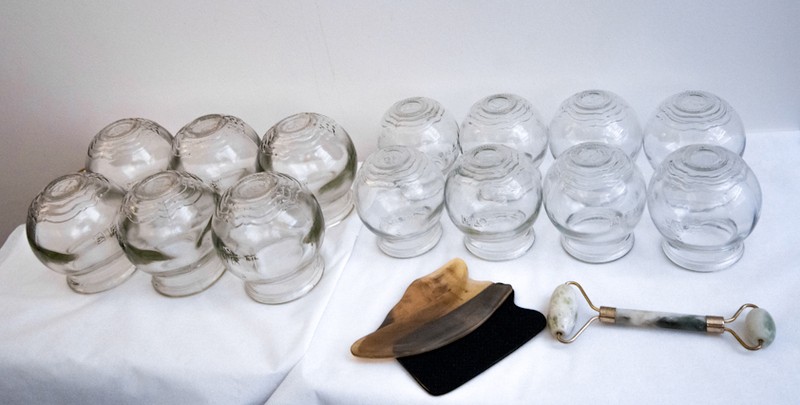 Cupping (Ba Guan Zi) are an integral part of Traditional Chinese Medicine since ancient times. create a depression. This method draws blood to the surface of the body and facilitates the movement. Cupping is painless but will sometimes mark the skin with a dark stain may remain several days. In Traditional Chinese Medicine, cupping is used to hunt corp Cold, Wind, Humidity and heat and to improve and accelerate blood circulation. The suction cups have demonstrated their effectiveness in cases of various joint and muscle pain. They may also be used in the abdominal or stomach pain. massages with plungers turning and moving on the body. These massages, usually done along the meridian of the bladder (each side of the spine), it possible to decongest the blood and the heat release from the surface of the skin.Similarly, these massages stimulate the nerves and thus rebalance the nervous system. The installation of suction does not occur randomly but based on points and acupuncture meridians and major laws China’s energy. According to the symptoms it is recommended for a specific care recommancer a meeting ten to fifteen days later; and as preventive a meeting before each change of season. each of the three Parisian Lanqi massage institutes.